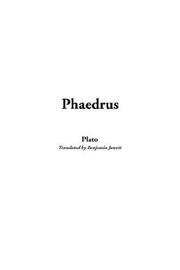 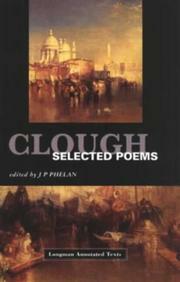 A choice of Clough's verse: selected with an introd. 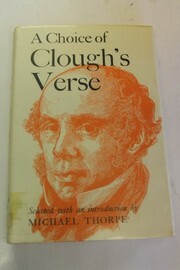 by Michael Thorpe. 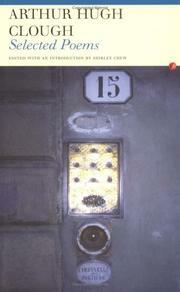 Selected prose works: Edited b y Buckner B. Trawick. 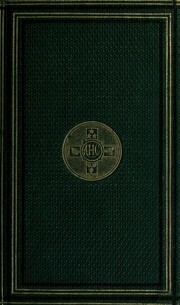 Correspondence: Edited by Frederick L. Mulhauser. 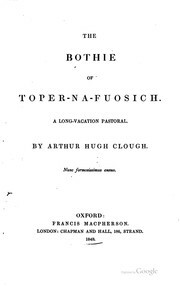 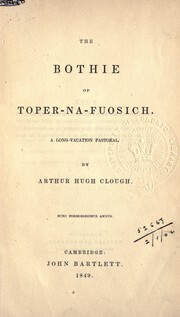 The bothie of Toper-ma-fuosich: A long-vacation pastoral. 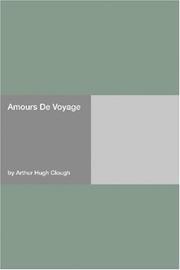 Amours de voyages: an epistolary novella in verse. 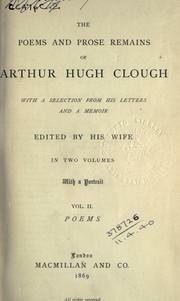 Poems of Arthur Clough .. 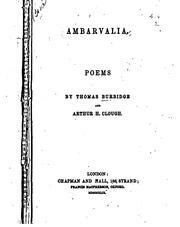 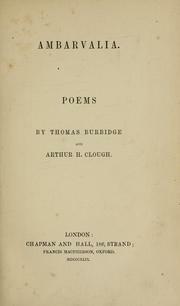 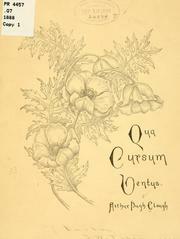 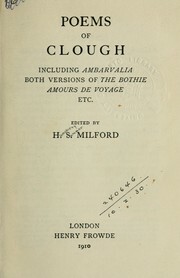 Poems of Clough, including 'Ambarvalia,' both versions of 'The bothie,' 'Amours de voyage,' etc. 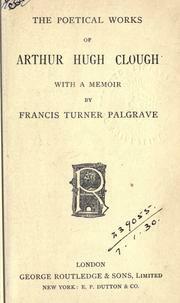 Poetical works: With a memoir by Francis Turner Palgrave. 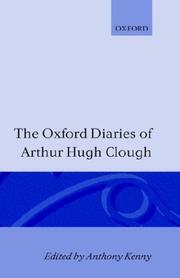 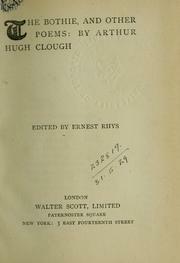 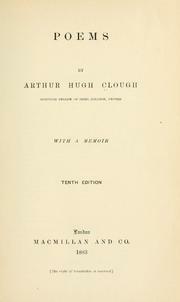 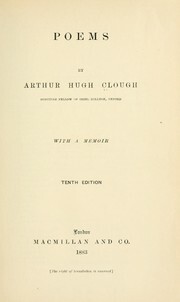 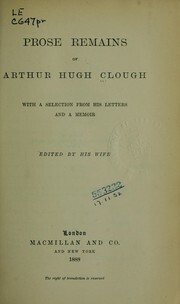 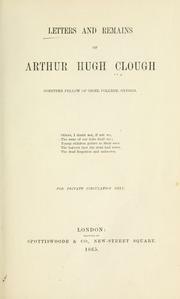 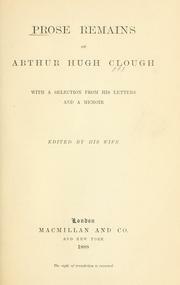 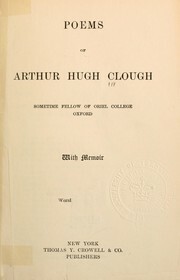 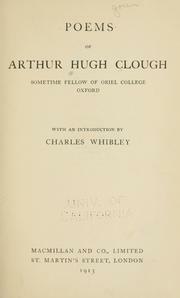 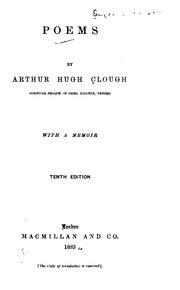 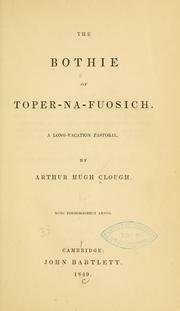 Poems of Arthur Hugh Clough . 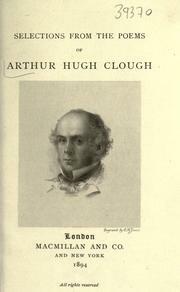 Are you sure you want to remove Arthur Hugh Clough from your list?